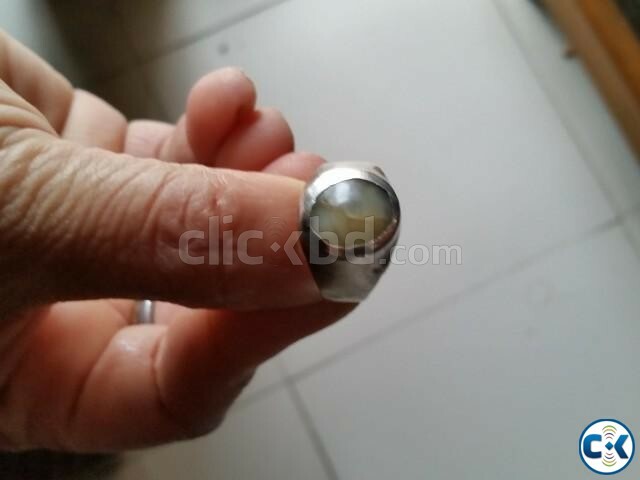 Original Natural Cats eye Stone 6 Carets With Silver Made Ring Cheap Price ever. Market price higher then my asking Price. Genuine Buyer Contact Please. Thanks for Viewing my ad. The cat's eye is the gemstone of the planet Ketu and helps to overcome problems related to this planet.Wearing a cat's eye increases physical strength, radiance, stamina, happiness, wealth and the joy of progeny. It cures illnesses caused by inauspicious Ketu, which may be the cause of skin diseases, leprosy, pain in joints, diseases of joints and nerves, excessive body heat, anxiety and accidents, among others.